On Page Optimisation is an integral part of any SEO (search engine optimisation) campaign. It helps you creating perfectly optimised pages and websites for your business. At Cartoozo, we optimise a website with an aim to simultaneously make it rankings and traffic. A well optimised website is certain to increase visitor satisfaction and encourages users to spend more time on your site, engage with your brand, and buy your products. Competing for rankings and traffic in the search market has never been easy but with our expert SEO team you can create a website that has the content and the HTML behind it that will deliver you long term results. This is done under different heads ranging from keyword analysis, clear site structure, very high quality content, link structure and site speed. We always create and optimise websites to have intent of increasing user engagement, build authoritative brands and deliver higher ROIs. We’ll be there every step of the way to ensure your website performs to succeed. 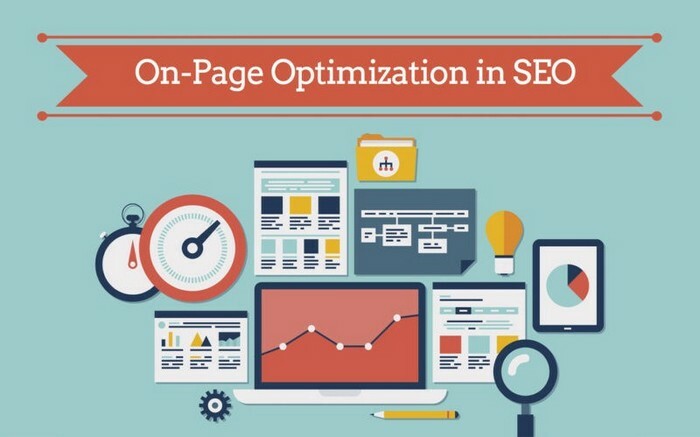 What is On Page Optimisation? Keyword research and analysis - visit your competitors’ websites to see which keywords they use. It’s a good idea to have a mix of keywords common to the industry, and niche words or phrases that relate to your business’s unique selling points. Keyword density – it’s important to strike a balance between having enough keywords to make your site findable, and cramming copy so full of them that it becomes unnatural. A keyword density of around 2% is acceptable. Metadata – metadata (tags and descriptive fields) should be as thorough as possible. Fields should be concise, descriptive and contain relevant keywords. Page title optimisation – search engines crawl page titles for keywords. Titles should always be text, never graphics, with the main title identified by a [h1] tag, secondary titles as [h2] and so on. Images and links – images and links must have descriptive alt tags. Content position and calls to action – calls to action (CTAs) should be signposted and appear above the page fold wherever possible. Broken links and redirects – broken links should be flagged and fixed. Alternatively it is possible to set up automatic redirects when updating large quantities of your website (as in a new site launch). Google Analytics – this tool is an indispensable measuring device that allows you to set up specific goals and performance criteria to measure the success of your website. Creating a simple, usable site structure – site visitors don’t enjoy having to trawl through pages of content to find what they’re looking for. Keep it simple, keep it relevant, and create a fool-proof site architecture. Cartoozo can help with every stage of On Page Optimisation, from researching your target audience, to identifying relevant keywords. Website audit – an examination of how well your website is performing, including how visible it is to search engines, bounce rates, conversion rates, keyword density and site speed. Website structure – we can help plan and implement a simple structure geared towards your business’ needs and the best possible user experience for your visitors. Best practice guidelines – we can provide guidance on every aspect of content creation, from title text, link text to effective calls to action. Site speed – we will examine options for increasing decreasing load times for your site and help to design and implement a simple design free from overuse of flash, graphics and slow-loading visual elements that are unnecessary. Google Analytics – we can add GA tags to each page of your site, tracking downloadable materials, calls to action and referrers to help you understand where your site is performing well and what can be improved. Contact the best SEO company in UK for all you internet marketing needs!